Thanksgiving Will Soon Be Upon Us. Cooking Safety Message! Thanksgiving day will soon be upon us and there will a lot of chefs in every household cooking the turkey dinner with the family recipe and traditions. Recently the cooking using a deep fryer has gained popularity with these local chefs. HOWEVER with this style of cooking comes an inherent danger. NEVER DEEP FRY A FROZEN TURKEY ! 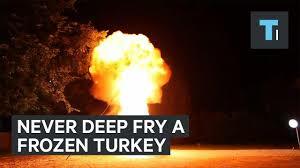 The action of placing a frozen turkey into a boiling oil in a deep fryer will cause steam to form and then boiling oil will be forced out of the fryer on fire and onto the surface for which the fryer is standing on. This action will cause the surrounding to catch fire, ruining your day. 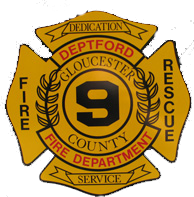 Please take a moment to watch the attached video demonstrating the incorrect way of deep frying a frozen turkey.